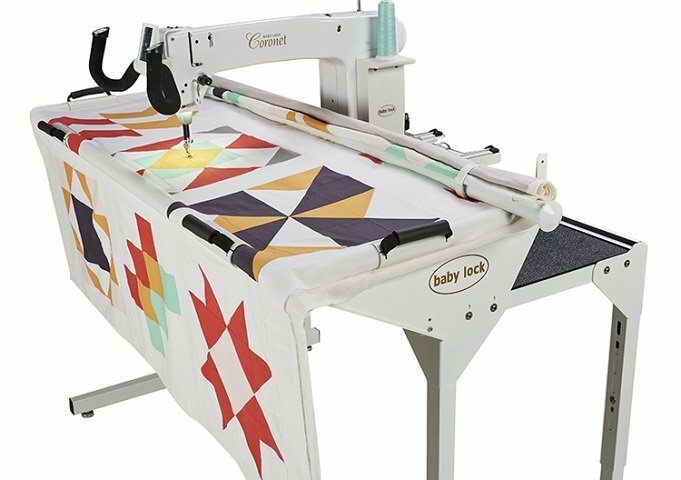 The new Baby Lock Coronet Long Arm Quilting Machine opens up worlds of possibilities for first-time long arm quilters. 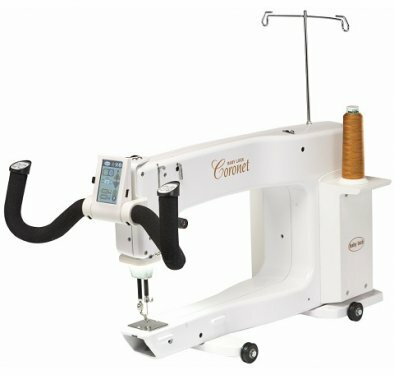 The included 5' frame that fits easily into the smallest studio, yet the Coronet has a huge 16" work space that gives quilters complete control over their compositions from beginning to end. Manual Stitch Mode allows manual operation of the machine by selecting one of the two customizable preselected needle speeds.